The authoritative parenting style should not be confused with the authoritarian one. This is not a military style of raising children, where the parents expect that children will do as they are told without question. It's also different from a very permissive parenting style, where the children are not corrected or disciplined and are left to do whatever they want. The authoritative style both establishes and enforces rules and expectations much like authoritarian parents. However, the parents will explain the reasoning behind the rules and listen to input from the children. Authoritative parents also show high levels of warmth for the child, not necessarily attached to achievement, whereas authoritarian parents rarely acknowledge any positive characteristics of a child, always demanding that they do better and dismissing achievements. Authoritative parenting also encourages self-expression and independence; it is very nurturing of a child's needs. Unlike indulgent parents, this style does not let children get away with bad behavior, instead establishing clear consequences and taking the time to explain them to the children. There may be times when the child must obey the parent, no matter what they would prefer to be doing. Within this parenting style, there are also times when parents will give their children the freedom to make their own decisions. The parent recognizes that the child needs room to learn and grow and to make his or her own mistakes. This is part of the child's learning process. Authoritative parents are not afraid to let their children know that they are loved on a regular basis. They express affection easily, and children who are raised in this type of secure environment tend to grow up to be independent and responsible members of society. They are respectful of people in authority and are able to form good relationships with others. The authoritarian parenting style is flexible enough that it can be used for all children. Parents can start using these strategies from the time a child is quite young and continue with the same style as he or she grows older. As the child grows up, he can be given the opportunity to make his own choices about things in his life. Part of growing up is taking responsibility for the decisions we make, and the authoritative parenting style can help children to learn this skill. When parents give their children the freedom to make some choices as they are growing up, they learn that not everything they attempt is going to turn out the way they anticipated. When parents who adopt the authoritative parenting style need to discipline their children, they focus in on teaching them how to make better decisions next time. Any punishment that is meted out is fair and consistent. This parenting style does not use harsh punishments to teach children a lesson. That kind of approach only teaches children how to be angry at the person meting out the punishment and doesn't do much to educate the young person about how to make better decisions going forward. According to a study in 1996 by Krevans and Gibbs, this kind of "inductive discipline" (explaining and talking to kids about rules) resulted in more "pro-social" behavior regardless of the culture. By modeling empathy for their children, authoritative parents seem to raise more empathetic children. The clearest result of this seems to be, according to Dr. Dyer's article in Parenting Science, more popular and happier children. 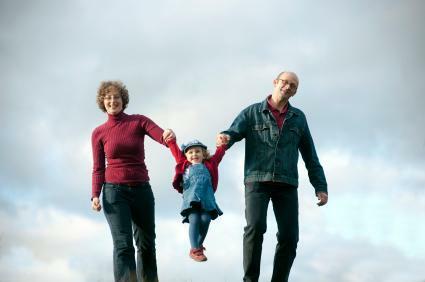 Another quality of the authoritative parent is a better connection between the parent and child. This kind of parenting helps children withstand peer pressure and feel more stable in their home. Diana Baumrind's research has also shown that authoritative parents have been "remarkably successful in protecting their adolescents from problem drug use." In general, by showing confidence as well as support in their children's ability to solve problems and overcome adversity, this parenting style raises more competent kids, who are better able to handle future challenges. Baumrind and others have found that children raised in the authoritative environment have a better opinion of themselves as well. This self-esteem is not egotistical, since others in the child's environment - teachers, friends, and family - echo the high rating of their social competence. While individual children and parents vary, the research seems to indicate that of the four styles, authoritative parenting results in the best outcomes for kids. Researcher Laurence Steinberg summed it up in the 2001 Journal of Research on Adolescence, saying "I know of no study that indicates that adolescents fare better when they are reared with some other parenting style." Like any social study, it can't be conclusive, but the overwhelming evidence is that the outcome of authoritative parenting is happier, more popular, and more competent children.